Satco light bulbs have the traditional incandescent look and feel. Satco-S7233, a compact fluorescent light bulb for enclosed fixtures,uses 75% less energy than equivalent incandescent lamps. 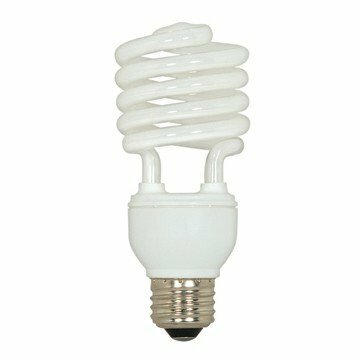 Satco-S7233 has a mini spiral shape and is 5.06 inches in maximum overall length and 2.13 inches in maximum overall diameter. Satco-S7233 features an instant on and is long lasting. Satco-S7233 has a 2-year warranty.